Tuli honored me with a preview package of her newest skins which are scheduled to be released Feb 7 at noon SLT in her main store in Le Zoo. I have been a fan of her skins since her first ones and still wear them. I think I have at least one of every series. Click on the photos for larger views. The tears make up goes so well with the goth skin tone. 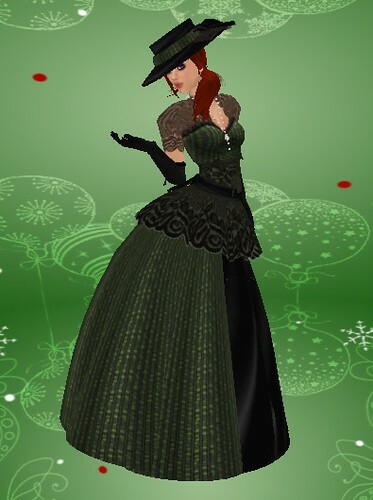 The lace is one of the most interesting looks I’ve seen in SL skins in a long time. The minute I saw the preview on Tuli’s blog I loved it and wanted it. I picked this up at the Tuli shop back when the Muse sim first opened. On opening day the multipack of the Caliah dress came with a special edition skin by Tuli as well. I won SETI set in the Jewelry Auction. It just really appealed to my inner geek. So of course I had to show this off to you. Tuli dropped her new release Carryn on me today. Very cute. So I took it as an excuse to dig out the stuff I purchased recently but haven’t blogged yet. Cassie has many different options as underwear as well as a cute strapless dress. Alicia is a cute halter dress is multiple patterns. I’ve only showed you 2 out of the 6 available options. I know she hasn’t been doing them long, but since Tuli has released her series 2 skins. I figured now would be a good time to do a short one on the evolution of Tuli skins. It takes less time just to throw up the photos that the content provider, so why do we bother to take photos? Well, I’m going to give you this example. I saw the ads from Savvy?’s new Tops and what was my attention drawn to in these ads? Actually my attention focused on the pants & skirts. I looked at them thought “Nice”, but didn’t really give them another thought until I saw the photos on Deux Looks. Those photos grabbed me and I wanted those tops now! It’s kinda like when i was shopping in RL and I hated a top on the hanger, but it looked great ON Amelia. Note: I don’t claim to be the best photographer, but sometimes just changing things up and having a new shot can spark interest. You are currently browsing the Tuli category at SL Fashion Notes.